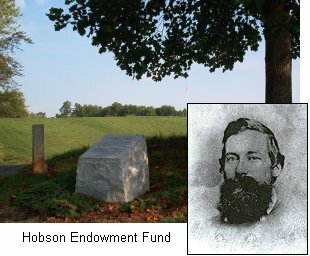 The endowment fund is named in honor of Captain John D. Hobson, C.S.A. of the 4th Virginia Cavalry who rode at General Stuart's side during the war between the states. Captain Hobson was the great-grandfather of C. Hobson Goddin (Richmond), who has generously supported the early preservation of Laurel Hill.